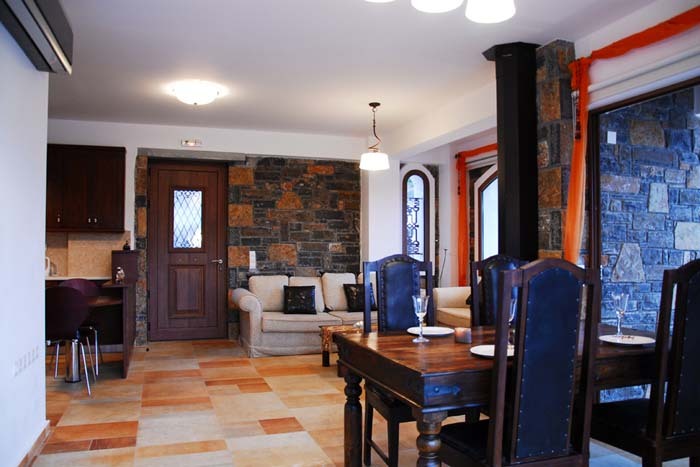 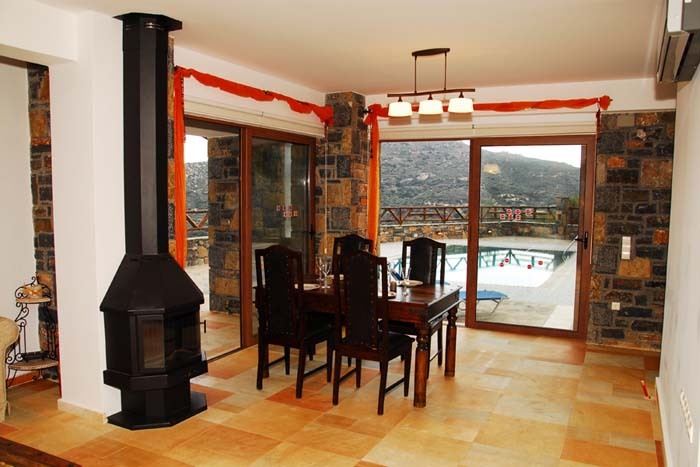 On the ground level there is a living room with a fire place and comfortable sofas, a dining area, a kitchen with all the necessary equippment and a WC. 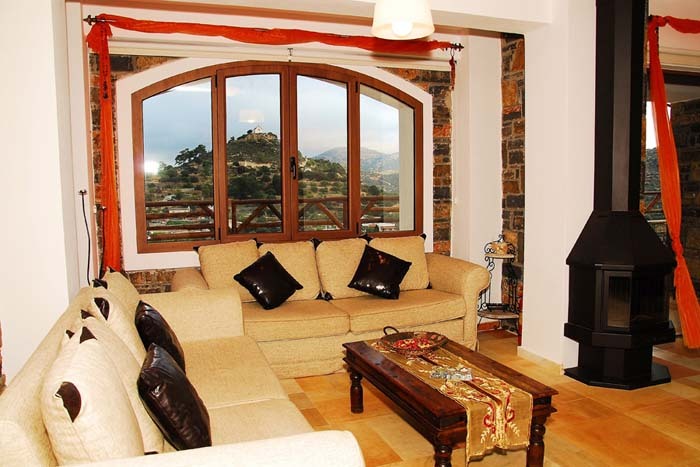 Wide windows offer wonderful views of surroundings. 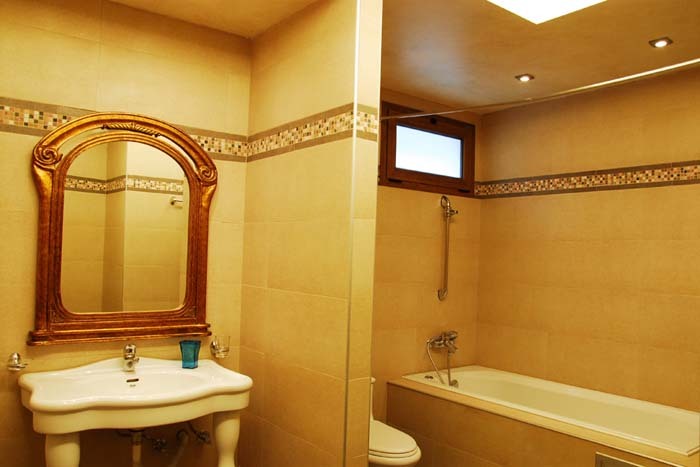 The first floor consists of double bedroom en suite with a bathroom with a shower, a second bedroom with twin beds and the main bathroom with a Jacuzzi tub. 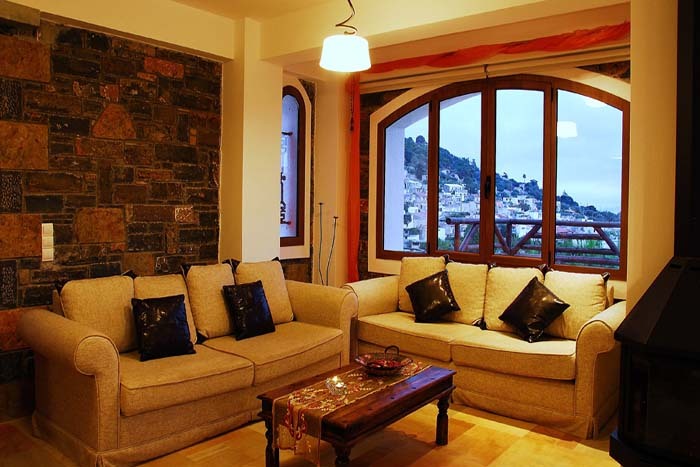 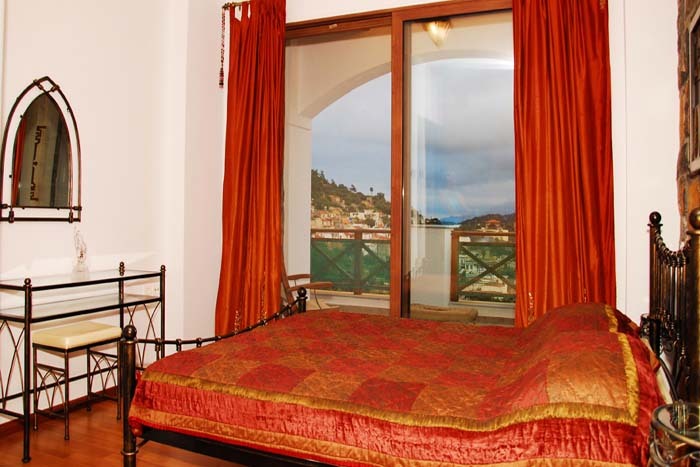 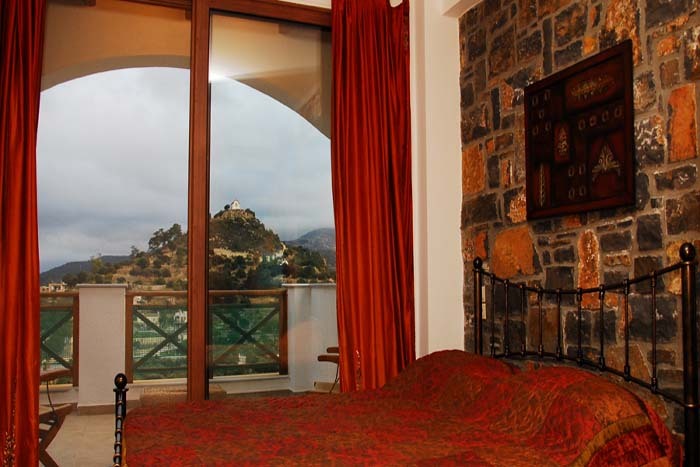 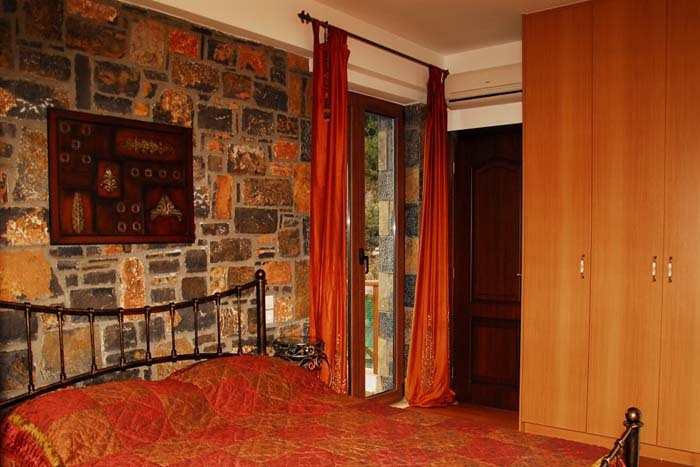 Both rooms access a balcony and offer great views. 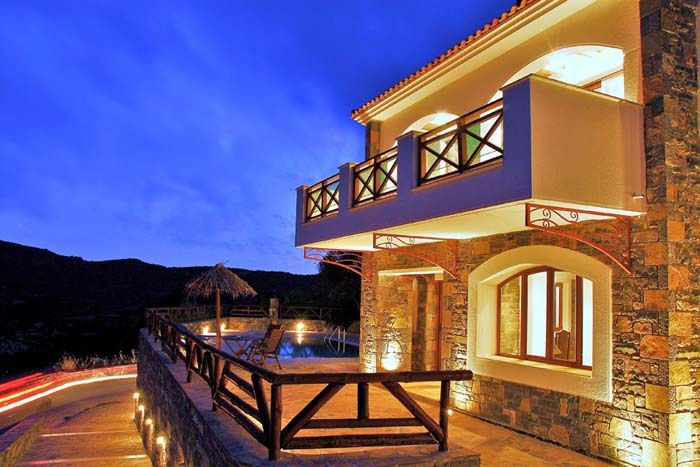 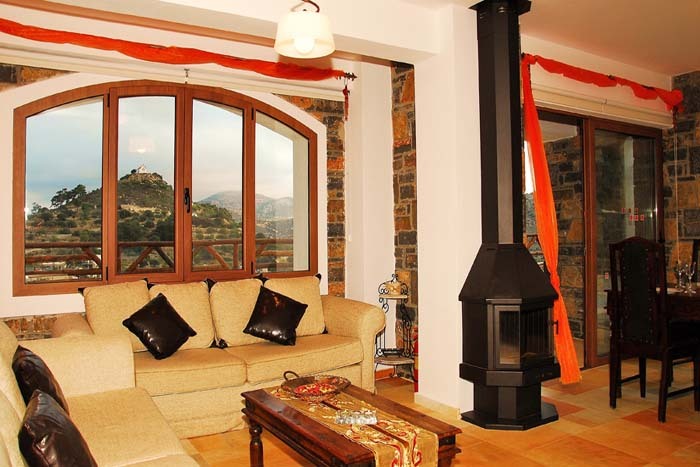 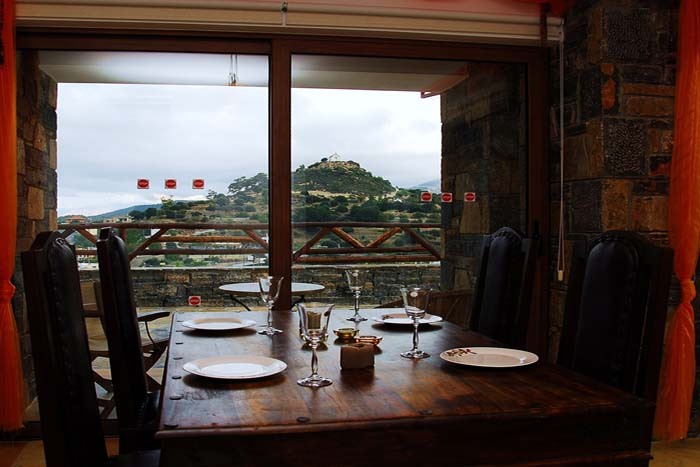 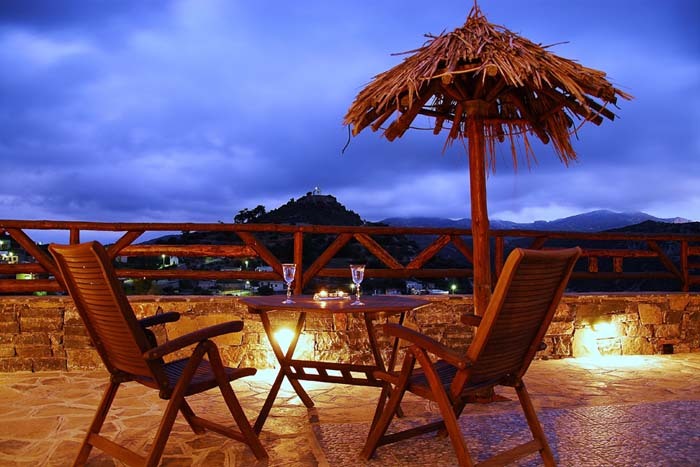 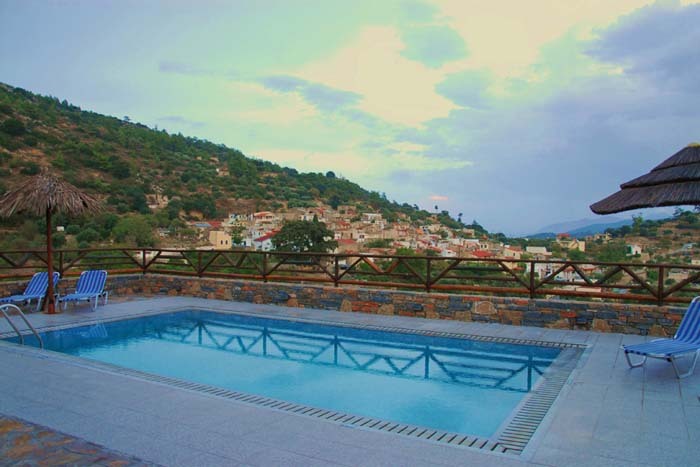 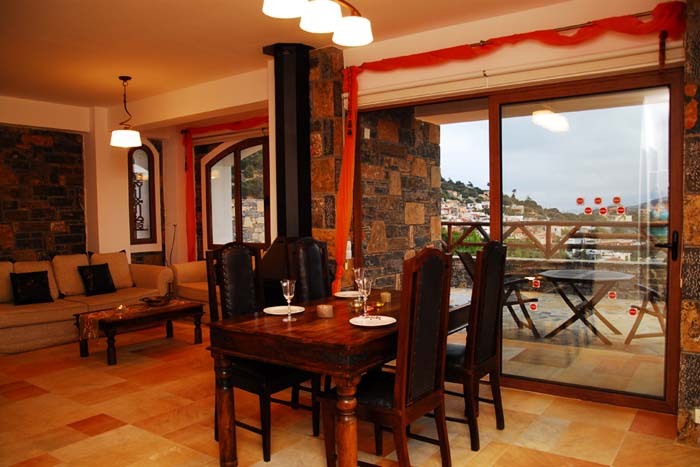 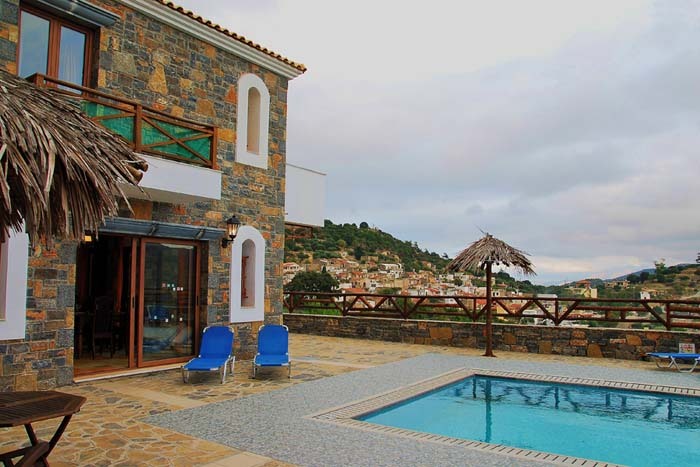 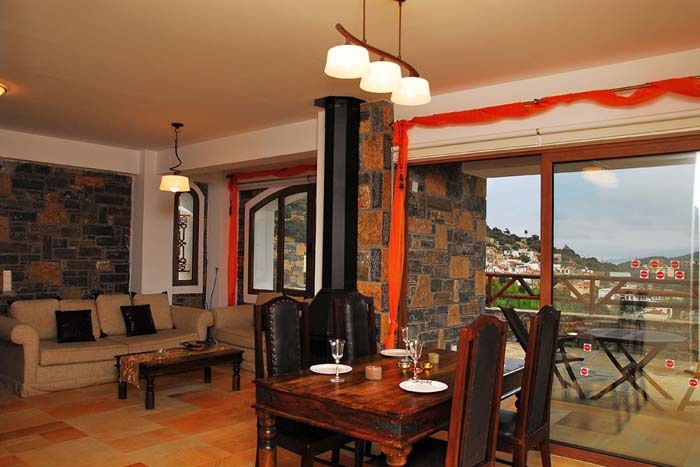 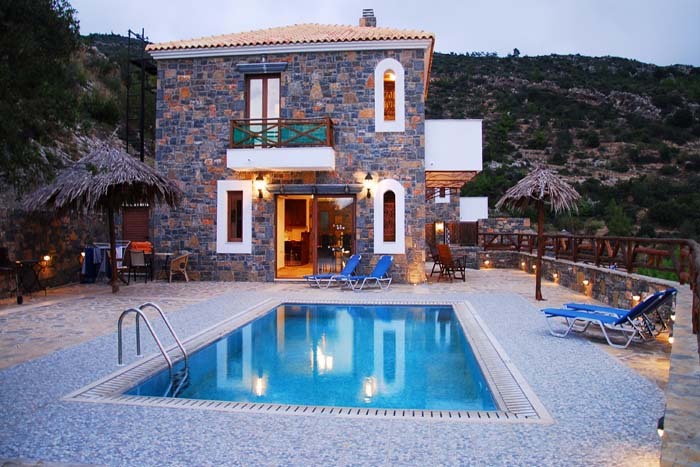 Each villa has a spacious outdoor area with great views of the mountains. 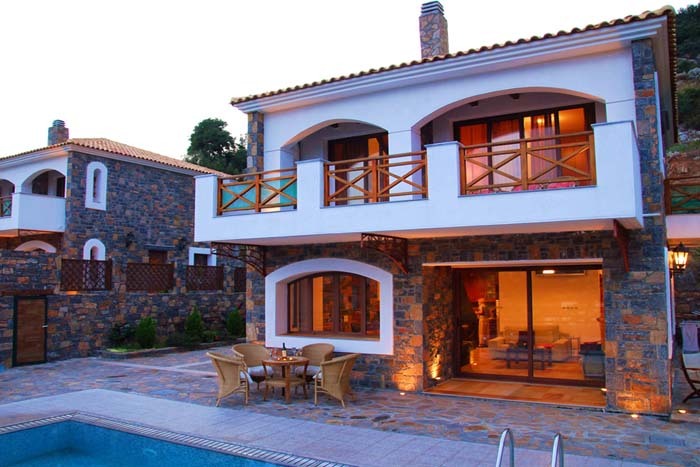 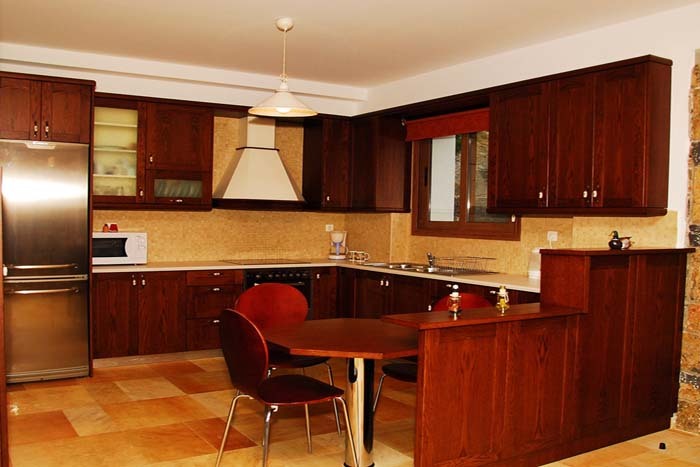 They also offer a 32sqm private swimming pool, with sun chairs and umbrellas, a BBQ and an outdoor dining area. 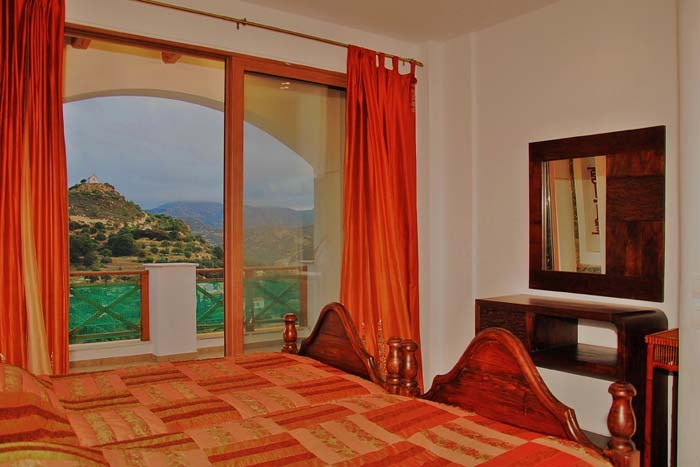 Beautiful flowers and trees are scattered around and complete the amazing set which promises an unforgettable and rejuvenating experience during your vacation.